Midas Holdings’ joint venture company Nanjing SR Puzhen Rail Transport (NPRT) along with its consortium partners, Shanghai Alstom Transport Electrical Equipment (SATEE) and Alstom Transport has secured a RMB1.1bn ($179m) contract from Nanjing Metro Group to deliver 29 trains. Each train set will comprise six cars, which will be delivered from 2014 to 2016 to be operated on the first phase of the Nanjing Metro Line 4 project in China. Scheduled to enter commercial operation in October 2015, the first phase of Nanjing Metro Line 4 will be 34km long, comprising 18 stations. The line will connect the western and eastern parts of the city of Nanjing as well as play a major role in its economic development. Earlier in May 2013, Nanjing Metro Group had awarded a €28m contract to Alstom and SATEE to supply traction systems and associated services to Nanjing Metro Line 4. "Scheduled to enter commercial operation in October 2015, the first phase of Nanjing Metro Line 4 will be 34km long, comprising 18 stations." Under new deal, Alstom and SATEE are responsible for installing traction systems called Optonix, on 174 metro cars to be run on Nanjing metro line 4. Alstom has provided services to the Nanjing Metro for over ten years and has been involved in six out of eight lines on the metro rail project. Midas CEO Patrick Chew said: "This is NPRT’s fourth and largest contract in the year." 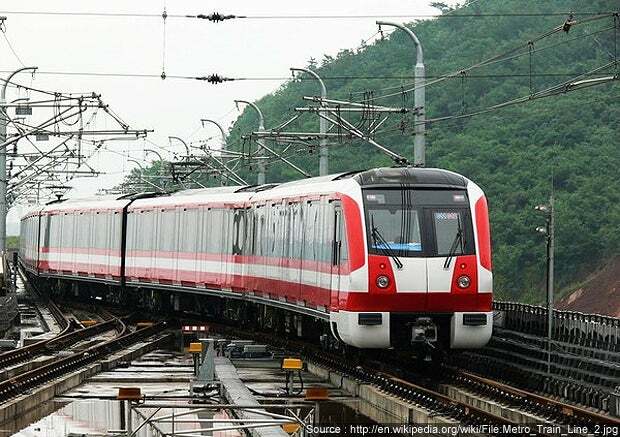 NPRT received a RMB420m ($68.5m) contract from China’s MTR Corporation in May 2013 to deliver 56 train cars to the metro system of Shenzhen in China’s Guangdong province. Midas holds a 32.5% stake in NPRT, which is involved in the development, manufacturing and sale of metro trains, bogies and other related parts. Image: NPRT will deliver the new train sets from 2014 to 2016, which will be operated on Nanjing Metro Line 4 phase 1 project.